Children who are born underweight or do not receive sufficient nutritious food during their first years of life have a much higher chance to die in childhood. If children are able to survive their malnutrition childhood results in a lifelong disadvantage in health as well as the capacity to develop intellectually. 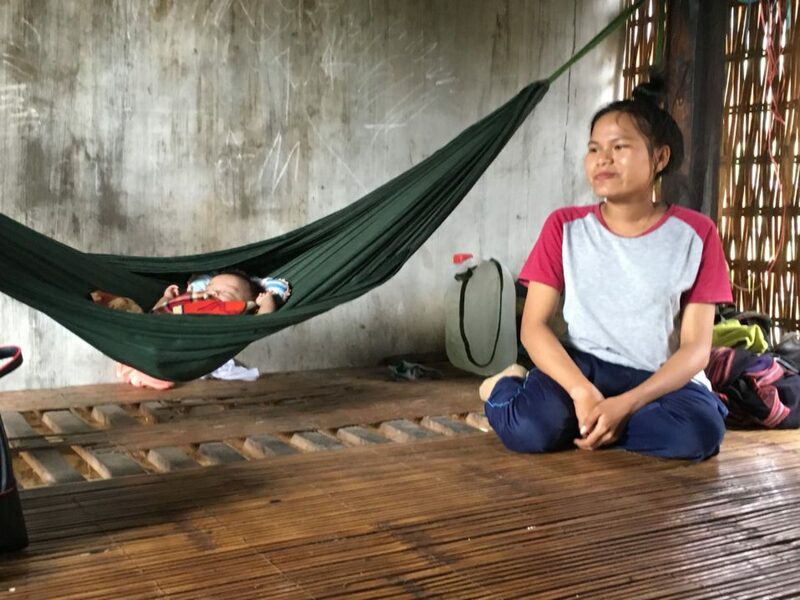 While the malnutrition rates for whole countries such as Vietnam and Lao PDR have steadily improved over the last decades, this masks the fact that it remains unacceptably high among ethnic minorities and other marginalized groups. Due to the developmental disadvantages that malnourished children face, they also encounter difficulties when it comes to progressing financially. These obstacles leave them at a young age to grow up as the next generation’s marginalized youth. Malnutrition in children is strongly correlated with the poverty of their parents and the education level of their mothers. It is a complex problem comprising not only of the access to safe and nutritious food but also awareness and knowledge, food beliefs and taboos, as well as the deteriorating quality of natural resources and global developments in food systems. For many previously self-subsistent ethnic minorities economic development (growing cash crops instead of their own food) and a more ‘modern way of life’ (money to buy junk foods at the market) have made things worse rather than better. 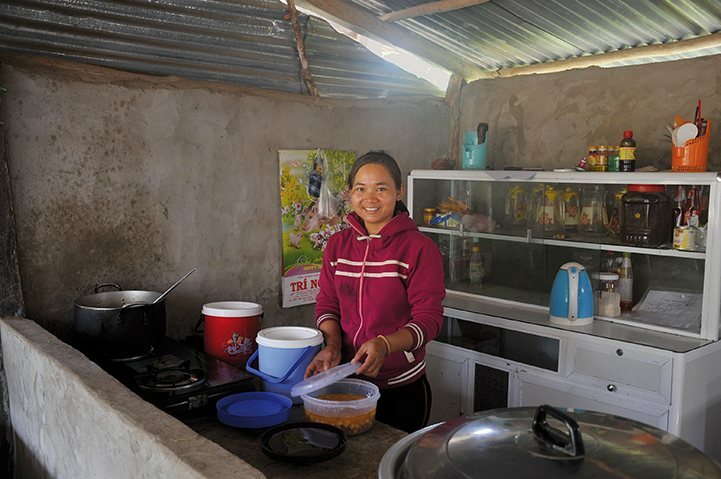 The government of Vietnam has invested big efforts over many years but among ethnic minorities in remote areas the improvement is very slow, if any at all. 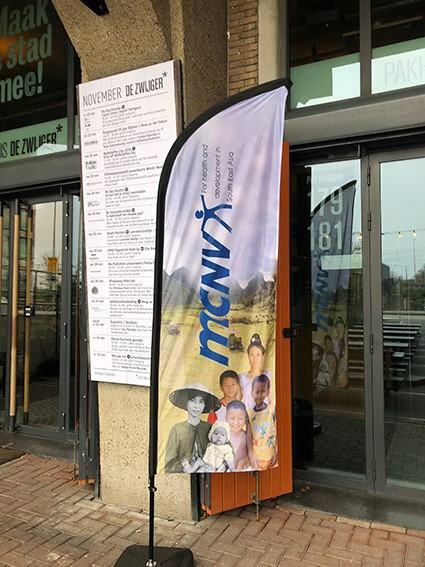 Therefore NGO’s like MCNV work side by side with government agencies to try out better approaches that fit better to the local contexts. 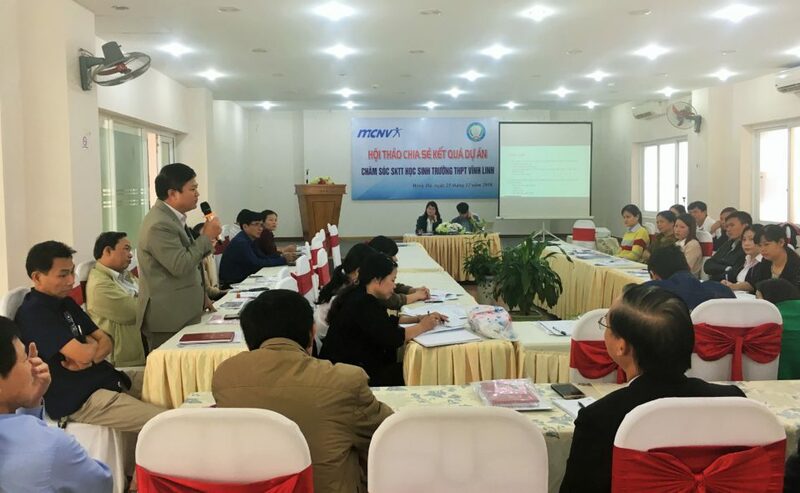 Over the past ten years, MCNV has paid special attention to child malnutrition among ethnic minorities, specifically in the provinces Khanh Hoa and Phu Yen in Vietnam, as well as Savannakhet in Lao PDR. 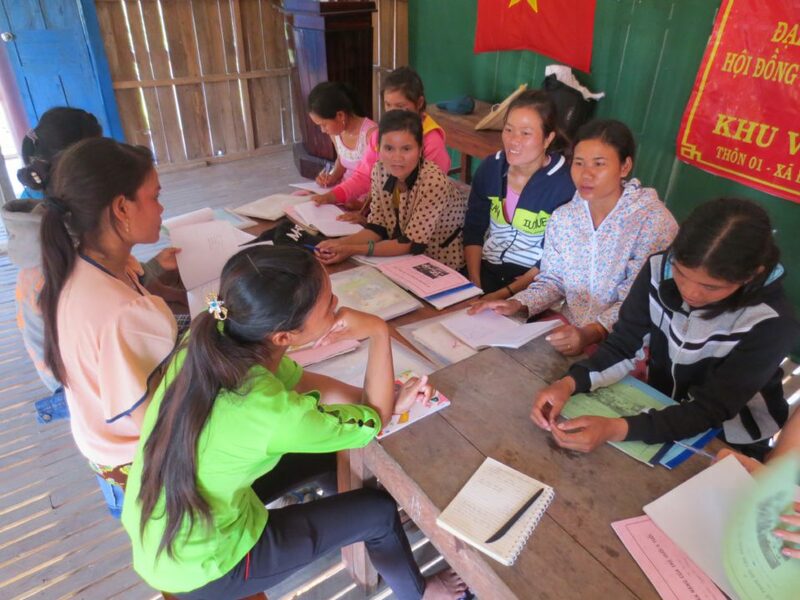 In Phu Yen the focus was on awareness raising and self-help activities in mother groups at the village level. 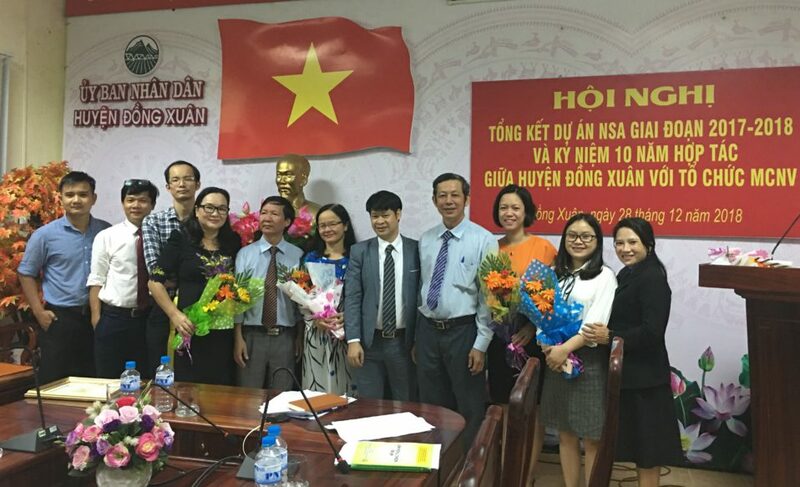 In Khanh Hoa a nutritious cereal powder was developed that was locally produced and distributed by the health system to all families with malnourished children in the district. 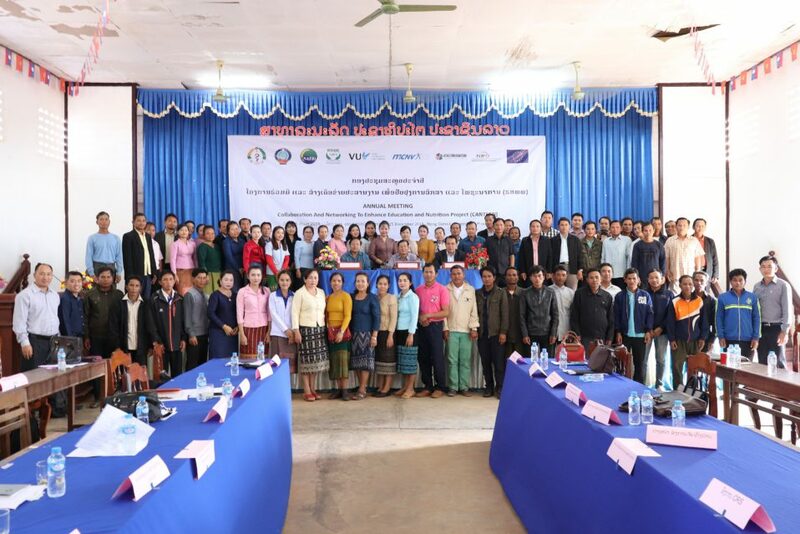 In Lao PDR the emphasis is on agricultural changes, such as home gardens, fish ponds and small livestock rearing. Positive effects have been demonstrated in several of these pilots but now it becomes urgent to combine the best approaches to find the most effective way to increase the scale in order to reach vast locations. 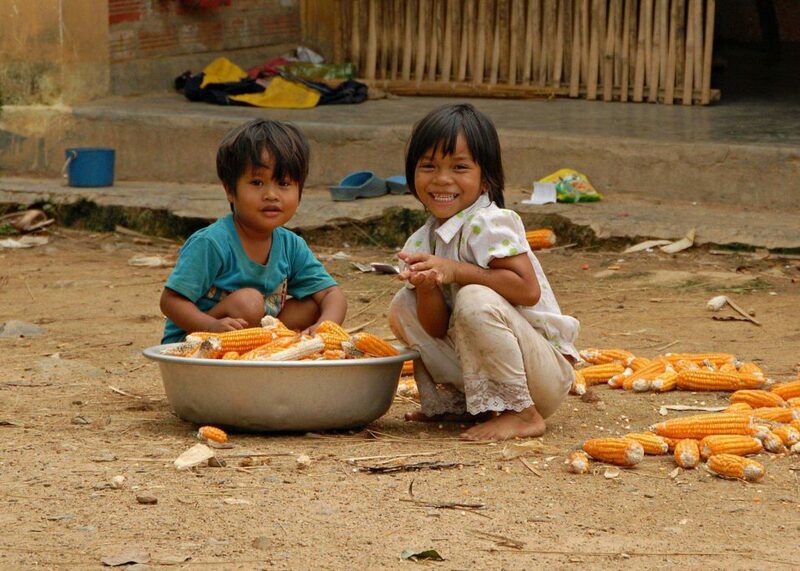 In the coming years MCNV will focus its work on malnutrition in Lao PDR where the problem is most severe. This will be done by systematic learning, taking the experiences in Vietnam and Lao PDR and seeing how the best interventions can be applied using the local context of Lao PDR. Together with the local population, the health, agriculture and education services will need to work together. 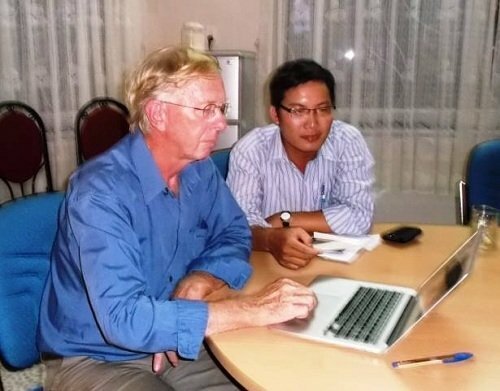 MCNV will collaborate with researchers from the Free University of Amsterdam and the important national institutes in Vietnam and Lao PDR to produce evidence about effectiveness and sustainability of interventions. This evidence will then be widely disseminated to convince government authorities and policy makers to increase their efforts to increase the number of children who can start their life with more hope for a healthy future.